Aaron Nola will be on the mound tonight as the Phillies welcome the New York Mets to Philadelphia to open a three-game set at Citizens Bank Park. It'll be the fourth start of the season for Nola who finished third in the NL Cy Young Award voting a year ago. Thus far though, he's not looked like the same pitcher he was a year ago. It's not been a velocity issue, but rather an issue with his command that's hindered Nola in the early going. He tossed six innings in his last start and ran into trouble in the seventh, surrendering a pair of homers before being lifted. It goes without saying that for the Phillies to contend they need Nola to revert back to last year's form. "I feel good," Nola said last week. "My arm is fine. I've just been missing my spots a little. I have to do better and fix that moving forward." 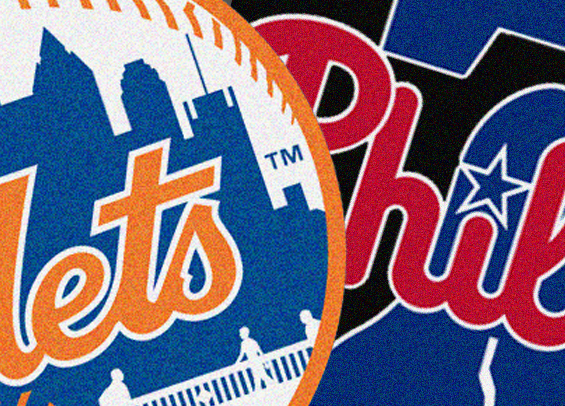 The Mets come to Philly having dropped two of their final three contests in Atlanta with a series against the Braves. The Mets are 9-6 on the season and trail the Phillies in the NL East by a half-game. It's an exciting time as both clubs haven't been competitive simultaneously for nearly a decade. Reliever David Robertson was placed on the 10-day injured list with a sore elbow. To take his spot in the bullpen the Phillies recalled righty Drew Anderson from Triple-A Lehigh Valley. Jackie Robinson’s remarkable life will be honored throughout Major League Baseball on Monday -- the 72nd anniversary of his first game with the Brooklyn Dodgers. Commissioner Rob Manfred will attend Monday’s Mets-Phillies game in Philadelphia and take part in a pregame ceremony that will include a joint choir from three local African-American churches performing “Oh Happy Day” and the national anthem. In addition, members of the Tuskegee Airmen will be recognized.